Streep plays Mary Louise, the mother-in-law of Kidman’s Celeste, who comes to town to get to the bottom of the death of her son. Streep tells me about their first day on set together. “Right off the bat she did a scene where she had to do something really, really hard, like waking up out of nothing and going right into sort of a breakdown. She did it over and over and over again, to the point where I thought, Is she being harmed in this process?” says Streep. “I scurried over to the director and I said, ‘Don’t you think you have it?’ I mean, I’ve done this before with other people, because I know what it takes to do that. She was O.K. 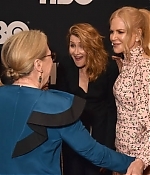 It’s just like she has a kind of a placid, very quiet reserve that sits on top of this titanic power.” Streep says this season we will see more of that from Kidman. “I’m in awe of her. She’s like a secret, soft Valkyrie with a spine like steel. She’s very disciplined, but it’s all in protection of a very tender self. 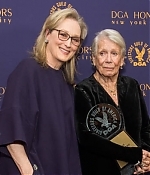 You forget,” Streep continues, “that she’s six feet tall, you know? But she is six feet tall, and sometimes she raises all of it up, and it’s … wow. That’s what you see in the end of this series. You see the full height of Nicole.” The complete article can be read over at Vanity Fair. Big Little Lies may not be returning for Season 2 until 2019, but there is some consolation — the first official footage of Meryl Streep in Big Little Lies is here, and it’s already proving worth the wait. The iconic actor appeared for just a second or two in a new HBO promo video that was released Sunday, but even just that one glimpse is an embarrassment of riches. The promo was, unfortunately, not a Big Little Lies teaser, but rather one for all of HBO original shows, crowded with teasers from True Detective, Veep, and even Game of Thrones. 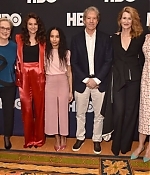 But somehow Streep stood out anyway, holding her own even against the sneak peek of Daenery Targaryen and her dragons from the final season of Game of Thrones. It’s a hard field to stand out in, but it should be no surprise that Streep is managing it, even with only a brief blip of screen time. 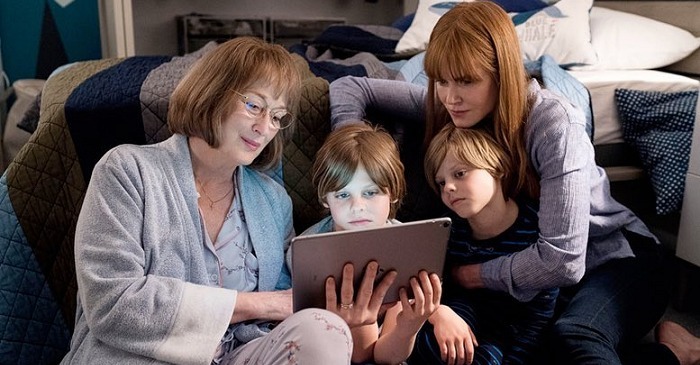 It was previously announced that the 69-year-old would be brought onto Big Little Lies Season 2 to playing Mary Louise Wright, mother to Alexander Skarsgård’s character Perry, and thus mother-in-law to Nicole Kidman’s character Celeste. And while exact plot details aren’t yet known, The Hollywood Reporter claimed that Mary Louise is in town to check in on her grandchildren and get some answers about what happened to her son. It’s a reasonable motivation that should make total sense to anyone who remembers the events of BLL’s Season 1 finale. More bits by Bustle with thanks to everybody for the heads-up! Nicole Kidman has shared a first look at her and Meryl Streep during the second season filming of “Big Little Lies”. As previously reported, Streep is joining the cast as Mary Louise Wright, the mother of Alexander Skarsgard’s deceased character Perry (and the mother-in-law of Kidman’s widow Celeste). “First day on the set with Meryl and my darling boys,” Kidman wrote on Instagram. 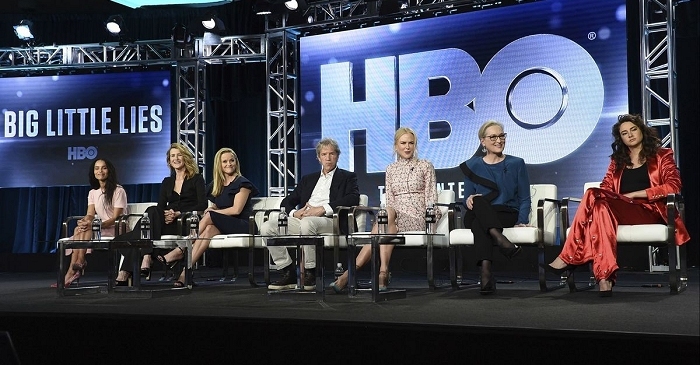 In announcing Streep’s hiring back in January, HBO released this teaser for her character: “Concerned for the well-being of her grandchildren following her son’s death, Mary Louise arrives in Monterey searching for answers.” Big Little Lies‘ seven-episode “sequel” is slated to bow in early 2019. The image can be found in full resolution in the photo gallery.